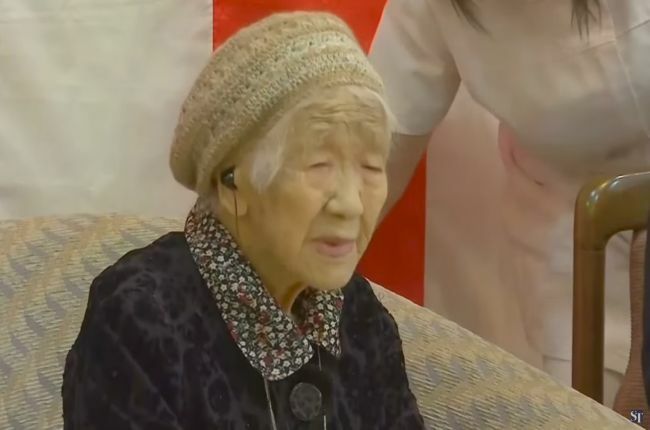 TOKYO • A Japanese woman who still enjoys studying maths and playing board game Othello is the world's oldest living person at the age of 116 years and 66 days, said the Guinness World Records. Madam Kane Tanaka was presented with a certificate yesterday at the nursing home where she lives in the south-western city of Fukuoka, according to the publisher. She was surrounded by her family, it said, and the local mayor also attended the event. The title passed to her after another Japanese woman, Madam Chiyo Miyako, died on July 22 last year at the age of 117. Madam Tanaka was born on Jan 2, 1903, the year the Wright brothers launched humanity's first powered flight, according to Guinness. The seventh of eight children, Madam Tanaka married Mr Hideo Tanaka on Jan 6, 1922. The couple had four children, as well as another girl she adopted from her sister. She still gets up at 6am every day and stays up until 9pm. She spends her time in the afternoon studying maths and practising calligraphy. Asked yesterday about the happiest moment in her life, she replied: "Now." Life expectancy in Japan is one of the world's highest. It is home to several people recognised as among the oldest humans to have ever lived. They included Mr Jiroemon Kimura, the longest-living man on record, who died soon after his 116th birthday in June 2013. The oldest verified person ever - Madam Jeanne Louise Calment of France - died in 1997 at the age of 122, according to Guinness.